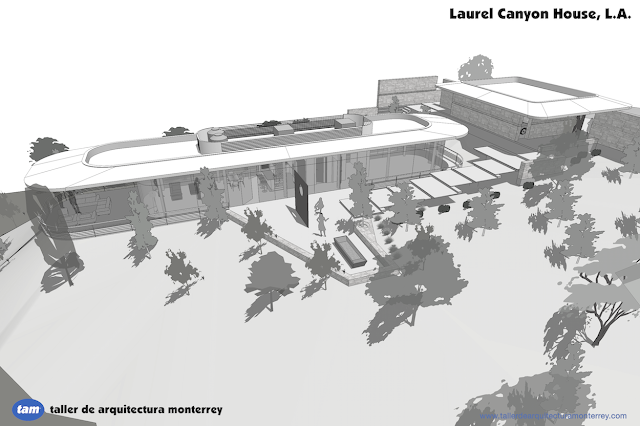 Two new single family home projects in the city of Monterrey. TCR House: this is a still "in progress", as we are developing parallel ideas for the architectural program, different design esthetics for the building; the floor plan would include 3 bedrooms with bathroom and walk-in closets, a home theater, a family room, a home office, wine cellar, bar, a fully equipped professional kitchen, an outdoor kitchen, and a 2 car garage. 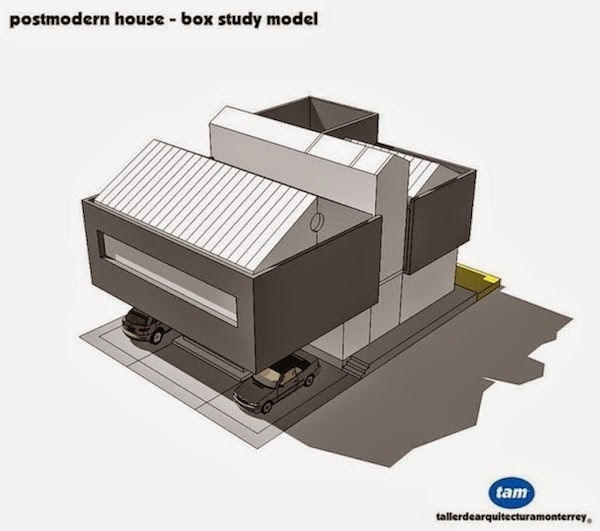 Weg House: final approved version of this house which was designed as a fluid form. A concrete shell with an open feel is proposed as a way to integrate with the mountainous landscape surrounding the lot, letting nature enter the domain while protecting it from the afternoon sun, taking advantage of natural light.